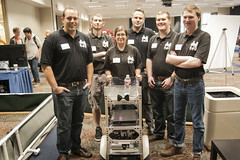 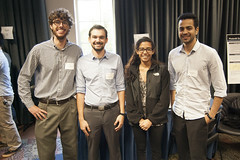 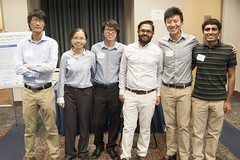 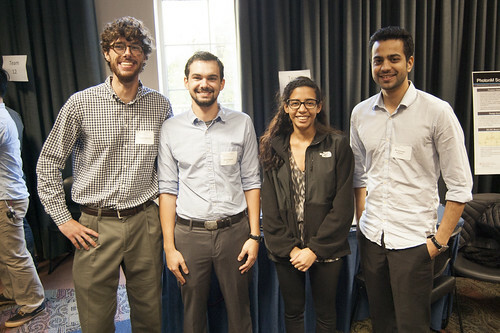 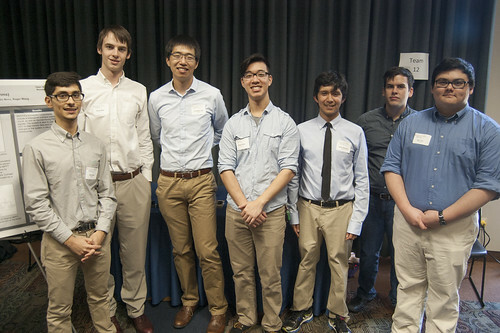 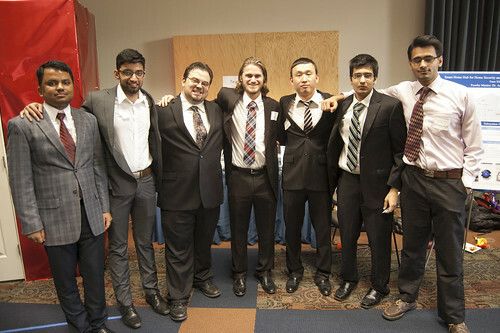 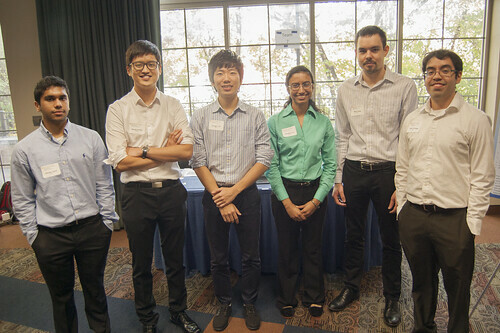 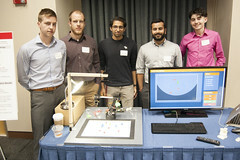 The University of Texas at Austin's Department of Electrical and Computer Engineering in the Cockrell School of Engineering (Texas ECE) held the Fall 2015 Senior Design Open House on Monday, November 23, 2015 in the San Jacinto Residence Hall Exhibit Room. 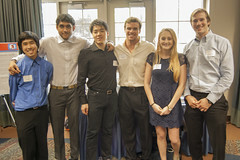 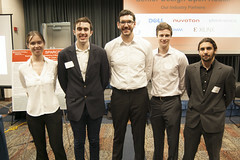 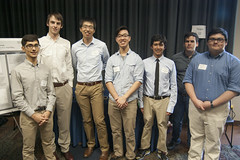 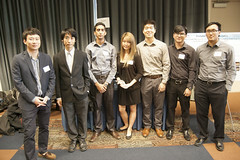 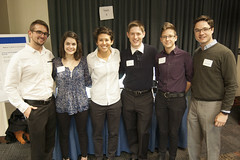 First-place winners were selected in both the Honors and Non-Honors categories, as well as a second and third-place overall winner picked from all of the projects. 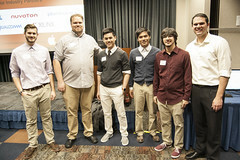 Winning team members each received prizes generously provided by Apple which included Apple Watches, Beats headphones, and Apple TVs for first, second and third places, respectively. 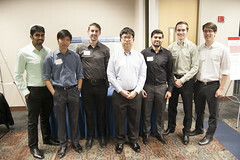 Winners were announced by Prof. Jim Wiley, who taught the course, and awarded by Texas ECE Entrepeneur-in-residence Prof. Mark McDermott. 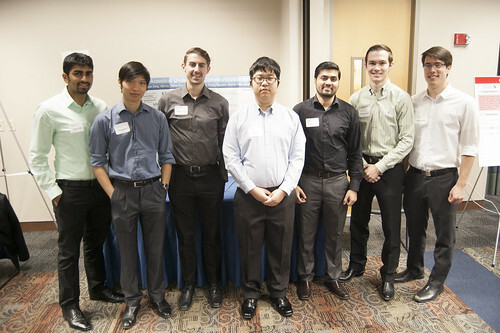 Texas ECE is deeply appreciative of our industrial collaborators, whose expertise and support makes these projects successful and meaningful. Industry project partners for the Fall 2015 projects include Cura Oceanus, Dell, Nuvoton, Plantronics, Qualcomm, and Xilinx.